Based on his best-selling book, MOTHER TERESA OF CALCUTTA: A Personal Portrait, Fr. 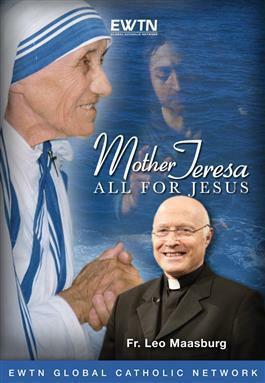 Leo Massburg discusses the great stories from his book that he personally experienced with Mother Teresa in his many years of service with her and the Missionaries of Charity. Interspersing photos and film footage of Mother Teresa, he tells amazing stories that most people have never heard, wonderful stories about miracles, small and great, that he was privileged to experience at Mother's side. They all reveal her limitless trust in God's love, how the power of faith can move mountains, of a humorous, gifted, and wise woman with a message of real hope for our time. This is the story of one of the most important women of the 20th century, as it's never been told before.